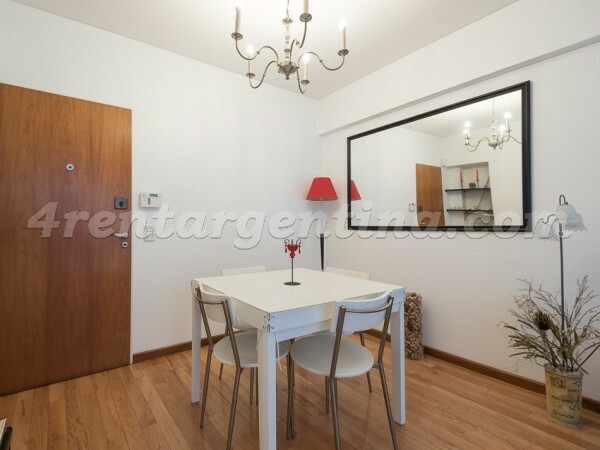 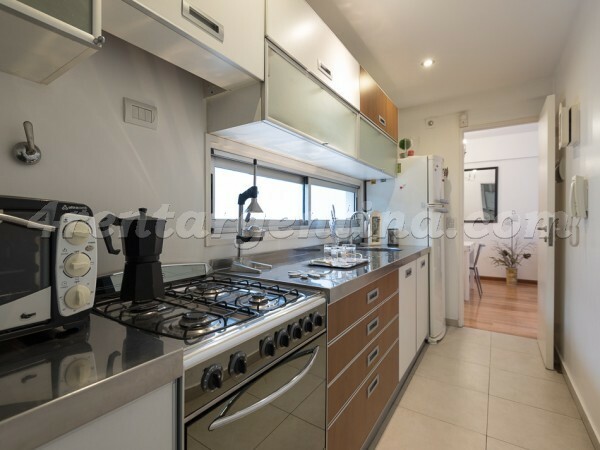 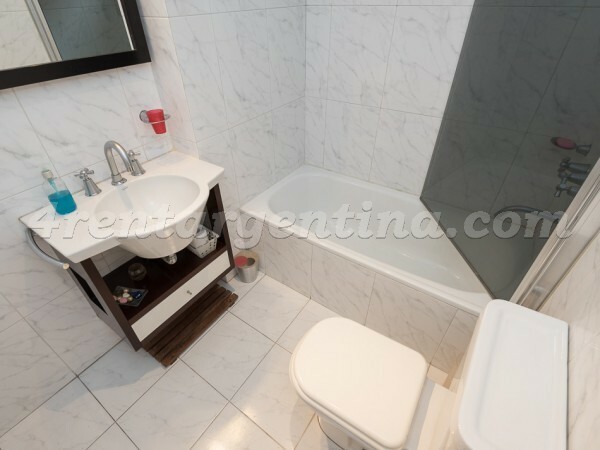 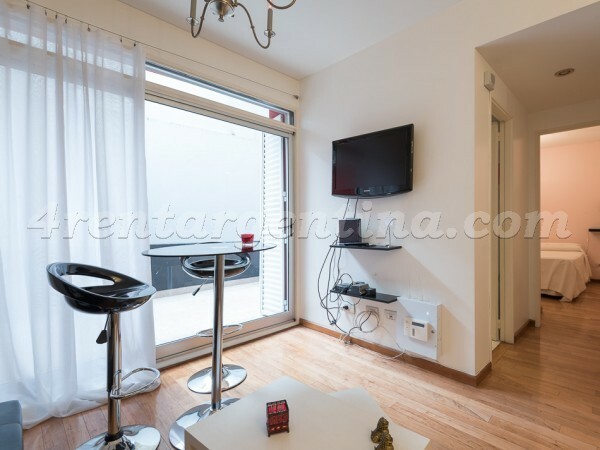 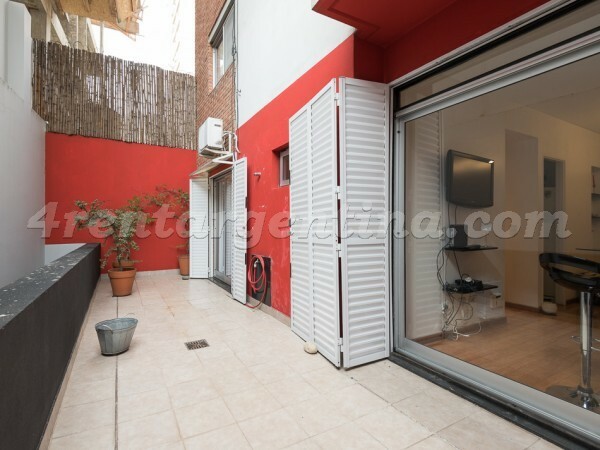 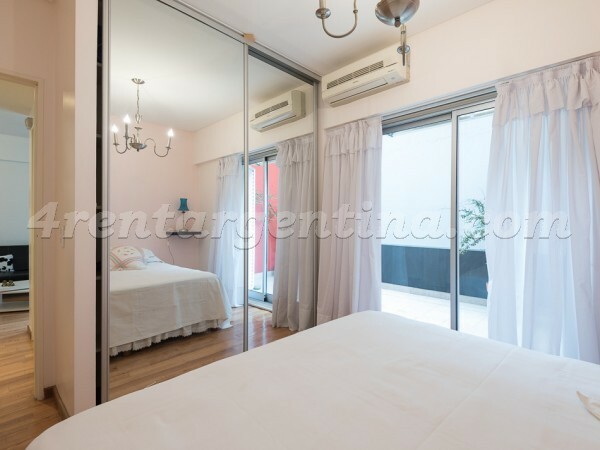 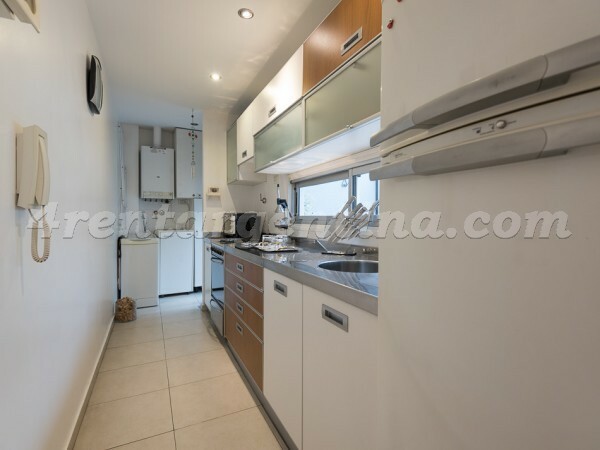 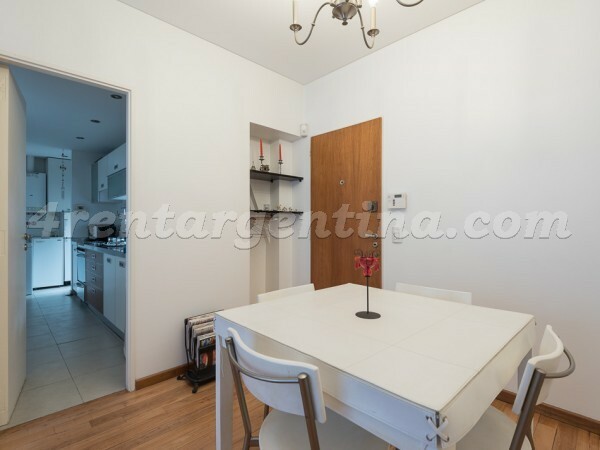 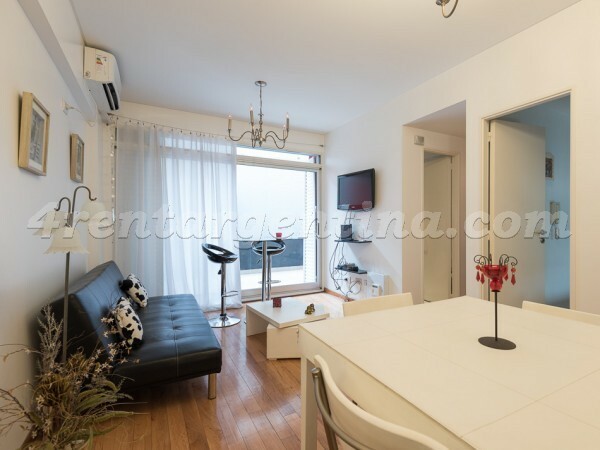 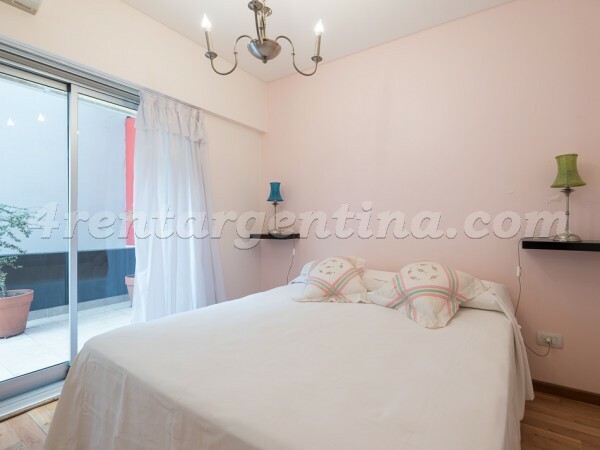 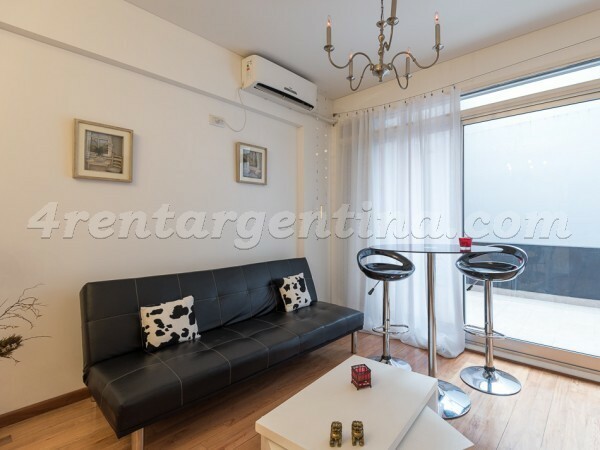 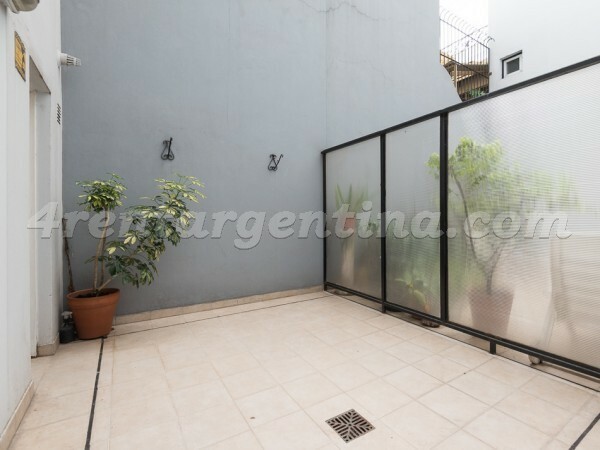 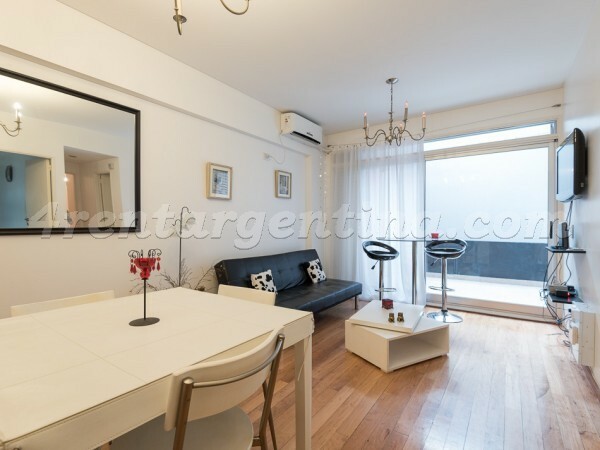 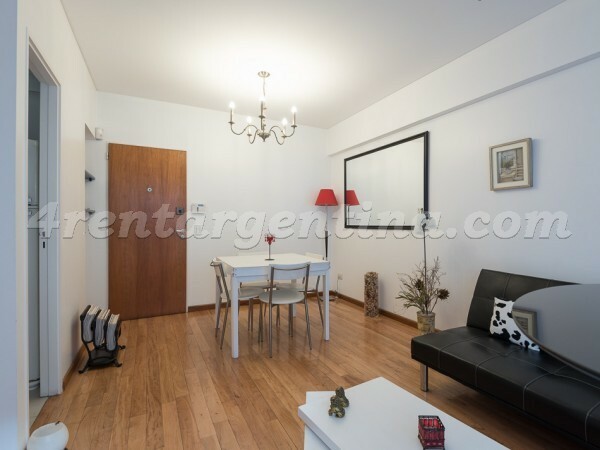 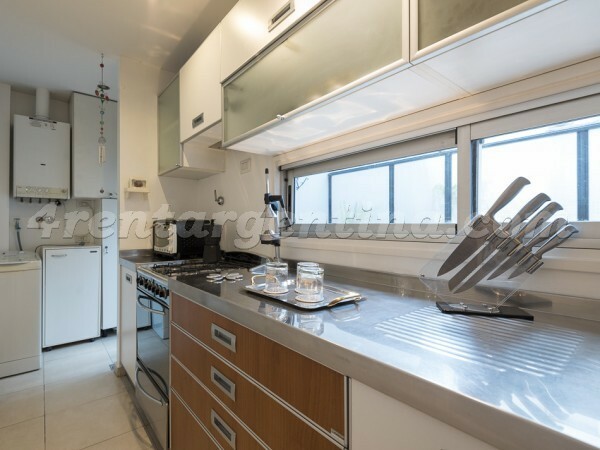 Comfortable and beautiful furnished apartment for temporary rent in Argentina, located in the neighborhood of Caballito, four blocks from José María Moreno Avenue, close to several shops and restaurants, and a few blocks from the subway line E. This beautiful apartment is ideal for three people, it has a bedroom with a king bed, a living room with a simple sofa bed, a kitchen equipped with an electric oven, and a bathroom with a tub and a bidet. 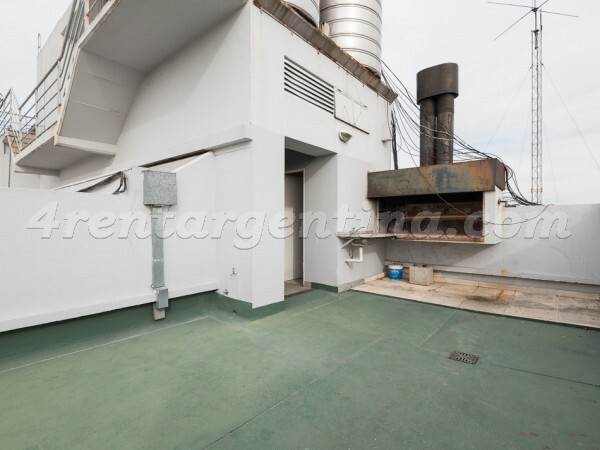 The building has a terrace with a barbecue grill. 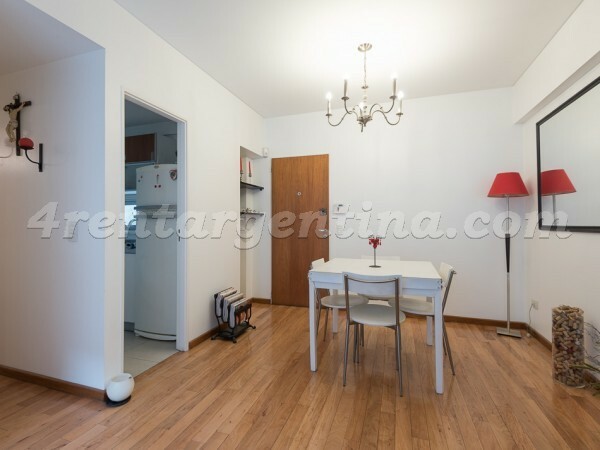 The rent includes bi-weekly maid service.